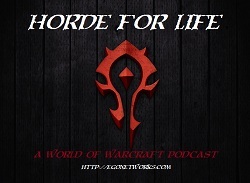 All EGO Networks Podcasts including Horde for Life are located at EGO Networks. You can alternatively check the RSS Feed control at the top right navigation of this page. 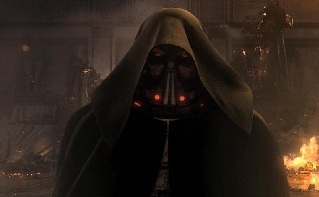 For those online game players fans who have decided to add the new Bio-Ware Star Wars MMO to their gaming list alongside the venerable World of Warcraft, we would like to introduce you to the Empire for Life guild. Based on the same principals found in the Horde for Life WoW guild, EFL offers a community and home for the casual player who values friendship over progression. Make no mistake, EFL will cover all the content, but with zero drama. You can read more about our guild focus in our EFL Guild Charter. You can find Empire for Life on the Lord Ieldis RP server and feel free to contact Orion or Ares in game for an invite! This week on Horde for Life we have an extended discussion on the changes, impacts, and details on the 4.3 patch. Who would have thought Ron “Renfest” Loupe would not the Darkmoon Faire? We also discussion the symbiosis that exists between the World of Warcraft and the new Star Wars MMO, we discuss the ultimate generation 3 feature and its pitfalls and of course cover all your feedback and deliver some Food for the Gods!